Due to the nature of the felting process, the size of your finished pieces can vary. Pencil Case is worked with 2 strands of yarn held together. 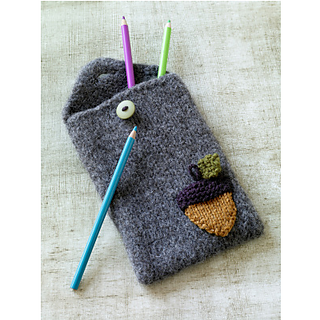 Acorn, Cap and Leaf are worked separately, then appliqued onto the felted pencil case.